The businesses comprising TSC Group (formerly Hastie Services) were part of the ASX listed Hastie Group which went into receivership in 2012 with more than $500m debt and bank guarantees. 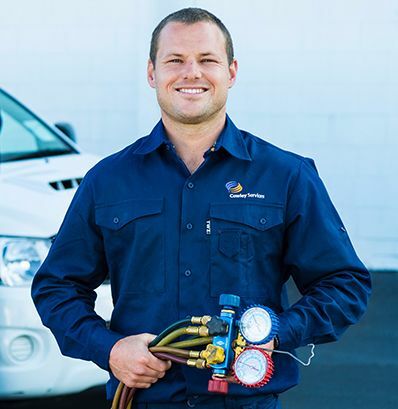 Hastie Services had been formed out of an industry roll up and had poor integration, high levels of customer attrition and accounting irregularities. Allegro partnered with a management team to acquire the businesses out of receivership and rebrand it TSC Group. The business was stabalised out of receivership with a focus on retaining customers and improving service delivery. Exited loss making installation contracts to focus on recurring maintenance contracts. Improved corporate governance with a new board and a refreshed finance team. Significantly improved working capital, with excess cash available to invest into the business. Implemented a significant operational improvement program to invest in systems, improve technician productivity and reduce back office costs. The business returned to profitability and growth with a higher quality contract base. In November 2013, Allegro partnered with ENGIE SA (formerly GDF Suez) who became a minority investor and strategic partner with a focus on growth via an energy efficiency product offering. In September 2015 Allegro sold its majority shareholding in the business to ENGIE SA generating strong returns to Allegro.